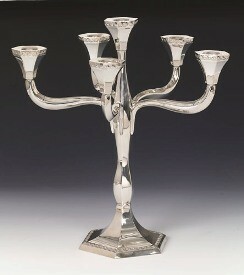 Sterling silver candelabra Goldwasser design. Traditional inspired design for six candles. Complete the perfect dinner setting with this beautiful candelabra. This candelabra makes a wonderful gift that will be admired forever. All our candelabras are made to order.